JSP Enviro, which ventured into the cleantech business in 2015, is involved in treating and recycling industrial wastewater, restoration of polluted water bodies, landscaping and beautification projects besides treating wastewater for reuse. They are restoring a 31-acre lake located in the Integral Coach Factory premises at Villivakkam, Chennai. 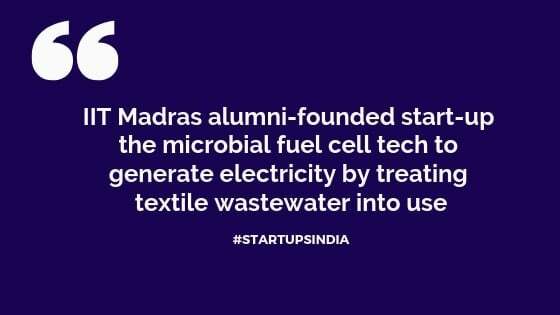 The threat of effluent dumping by tanneries and dyeing units could into an opportunity if this IIT-Madras alumni startup has its own way. The aim is to focus small dyeing units in India which cannot afford large common effluent treatment plants on their campuses. JSP Enviro, the company, uses microbial fuel cell technology that uses microorganisms to break down chemicals in effluents and produce electricity in the process. 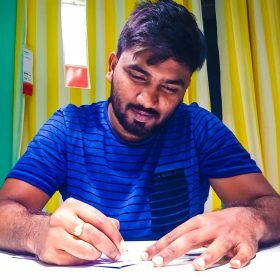 JSP Enviro is in the process of joining the IIT Madras Bioincubator to augment R&D for its product and they are planning to start a demonstration model by early 2020. JSP Enviro has an idea of research and development team at IIT-Madras to create new technologies for water treatment. It has got prize money of 5,000. Kumar said microbial fuel cell is a relatively new technology that can revolutionize the way we treat effluents. Dr. Priyadharshini Mani’s Ph.D. did base on developing enzyme-based water treatment of textile effluents. She has considerable experience in working with industrial wastewater and is an expert in water treatment methods.Mr. Suresh Paul Jones brings in more than 10 years of marketing experience in various companies in India and UK. He has huge experience in managing lake restoration and landscaping projects.